Family, friends and community play an integral role in helping you accomplish your goals. Likewise, we couldn't provide you this 100 mile mountain race in beautiful Colorado if it weren't for the following sponsors. Please support them the same way that they support you, we're all in this together. Like a match made in heaven, the High Lonesome wouldn't be what it is without Laws Whiskey House's endless and amazing support. Laws distills Colorado's finest whiskey with the mantra "Craft over commodity. Quality over quantity. Whiskey above all." This outstanding quality shows not only in their whiskey, but also in their people. If you haven't had a glass of Laws, then you're missing out. As most of you know, Laws provides each runner with a custom engraved bottle of their flagship whiskey. Beyond that Laws comes out to the finish line and slings cocktails, they host our annual kick off party, donate swag, and support us in a host of other ways. Laws has been with the High Lonesome since before the race had a name, a final course, or a website. Their steadfast and unlimited support can never be repaid, and we're beyond grateful to have them with us. No mountain town is complete without a local specialty running store, so when 7000 Feet opened its doors in early 2017 everyone was thrilled. A great store with even greater people, 7000 Feet has everything a runner needs. Locals can give you the beta on good trails and conditions, whilst providing you with the gear you'll need. Andrew (the owner) has been a huge help to the race, and we highly encourage all our runners to help support this amazing store. Racers that arrive early to the area should be sure to check out the store! Denver's newest specialty running store is an absolute winner. A great location and storefront, combined with a great selection of shoes and gear make this place a must visit for anyone coming through Denver. Be sure to check out their weekly run groups and monthly speaker series. Give them a like on their facebook page to stay up to date, then head over to the store and check it out. And while you're there, don't forget to chat with Phil, he's running the race! Colorado has almost 60 peaks rising above 14,000 feet, and are the gems of our amazing state. But their popularity means that many of these mountains are being loved to death. Old trails are eroding, social trails are being cut into fragile alpine ecosystems, and overcrowding is leaving them covered in trash and human waste. So, it's a good thing that we have the Colorado Fourteeners Initiative to be leading the charge to maintain and improve these mountains. CFI is the leader in new trail construction, and they work tirelessly to protect these areas. We work with CFI in a variety of ways, from trail work days to donating the proceeds from our trail work opt out fund. We really can't stress enough how important of a cause this is, and your support is needed and appreciated. 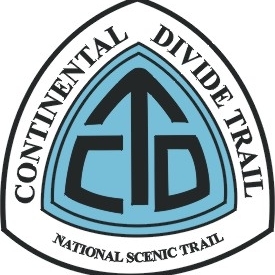 Traversing the spine of North America, the CDT is the greatest long distance trail in the country. It's also a massive job to maintain and continue developing such a massive trail system. A large portion of the High Lonesome runs on the CDT, and we are grateful for their work. We highly encourage runners to make donations and become involved in their local chapters. An icon in the state of Colorado, this trail system takes people through some of the most beautiful areas in our state. The CTF works tirelessly to maintain and build this trail system. The High Lonesome runs substantially on the CT, so we encourage runners to assist financially and physically whenever possible. Don't take the trail for granted, and help treat it and other users right. Leave no trace is a central pillar of our race, and we are grateful for the leadership that the Center for Outdoor Ethics takes in this area. LNT is a vital part of preserving our wild places, and you should practice LNT principles every time you go outside...from your local trails to the mountains, leave no trace. Be sure to brush up on all the LNT principles by looking on their website. INTERESTED IN SPONSORING THE RACE? Please fill out the form below, and we'll be in touch in 24 hours.